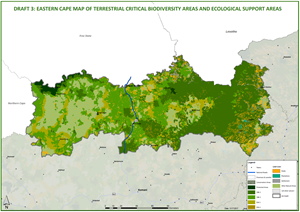 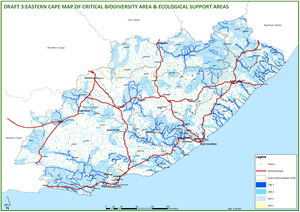 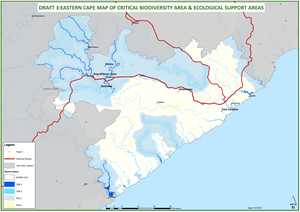 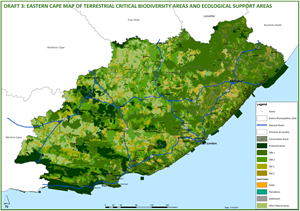 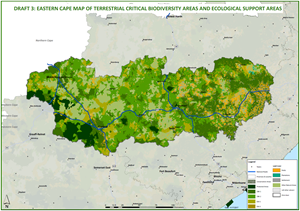 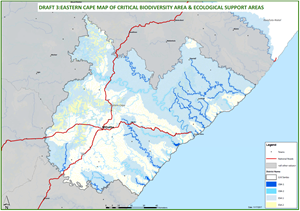 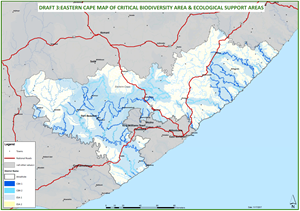 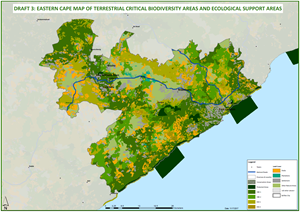 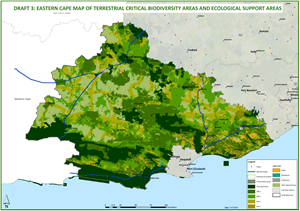 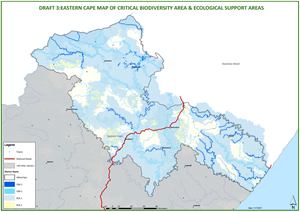 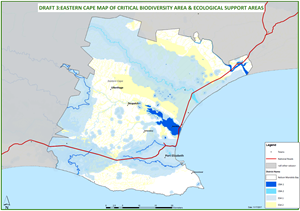 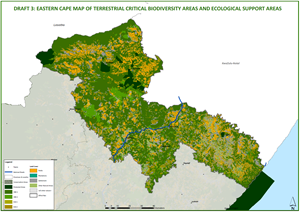 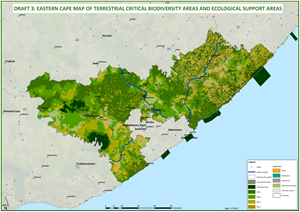 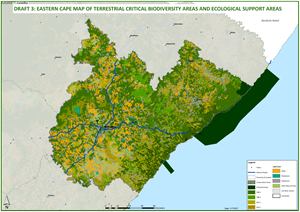 On 3 September 2018, the Member of the Executive Council for Economic Development, Environmental Affairs and Tourism in the Eastern Cape Province (MEC), published a PROVINCIAL NOTICE of Intention to Gazette the Eastern Cape Biodiversity Conservation Strategy and Action Plan 2017 Draft for Public Comments. 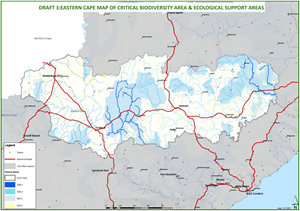 The Plan gives notice for Protection of Threatened or Protected Ecosystems in the Province of the Eastern Cape, in terms of section 52(1)(b) and 2(a)(c)(d) of the National Environmental Management: Biodiversity Act (10 of 2004). 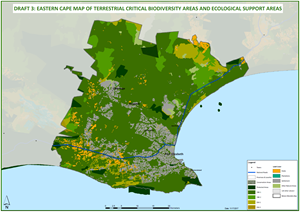 The Plan will in addition identify Critical Biodiversity Areas, with land use management guidelines, in which certain activities will require environmental authorization in terms of Listing Notice 3 of the [National Environmental Management Act, 1998] Impact Assessment Regulations of April 2017. 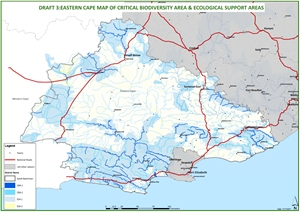 The Plan also provides mapping that details reasonable information and locations of categories of ecosystems that are under threat or that need protection. 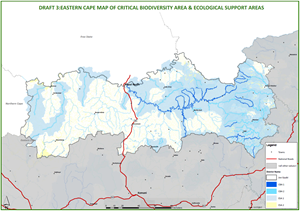 Comments on the draft Plan must be submitted within 60 days of the publication of the notice.